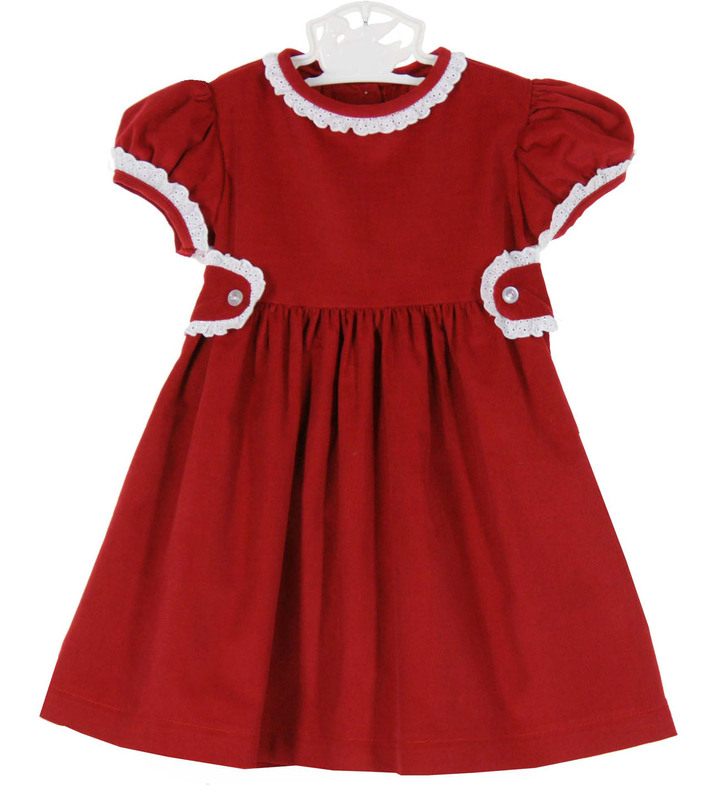 Made by Anvi Kids, this beautiful red cotton corduroy dress has a fitted yoke with lace trimmed puffed sleeves and a back sash to tie in a bow. 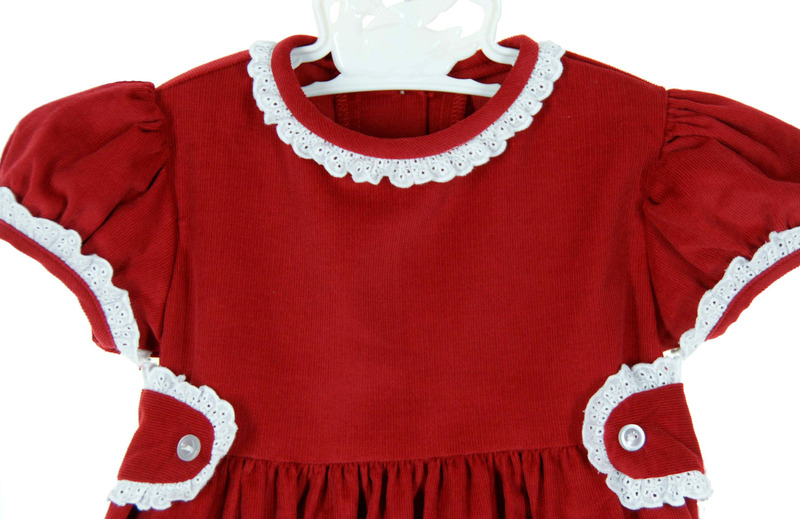 The front waist tabs and neckline collar are edged with scalloped eyelet lace trim. Perfect for your baby, toddler, or little girl! Matching girls romper and boys pants set are also available. See below.